The "Tiu Top" is available in the Mystic 2018 issue of the Fibre Muse Quarterly. It will also be available at the end of the month as a single pattern download. Knit in a lustrous merino and silk blend, Tiu is anything but ordinary. A wide front lace panel elevates this effortless shell to extraordinary. Decreases from hem to bust enhance the top for a flattering A-line silhouette you’ll want to wear every day. Today we learn more about the designer behind the yarn used to create the Tiu Top. Want to win the "Tiu Top" kit? Entering is easy. 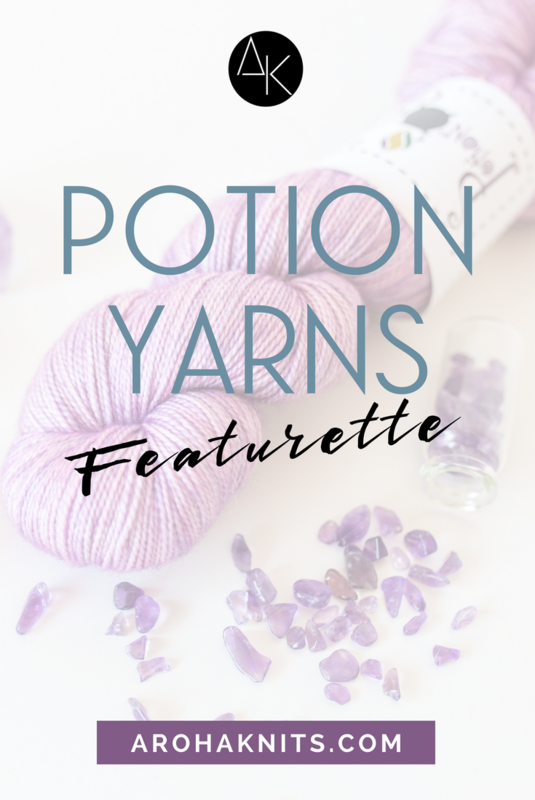 First, follow Potion Yarns on Instagram. Next, leave a comment with your Rav ID on our Patreon post answering the question "What project started your knitting obsession?" Giveaway is open until July 26, 2018 at 11:59pm. The winner will be announced along with the release of the Tiu Top on July 27!